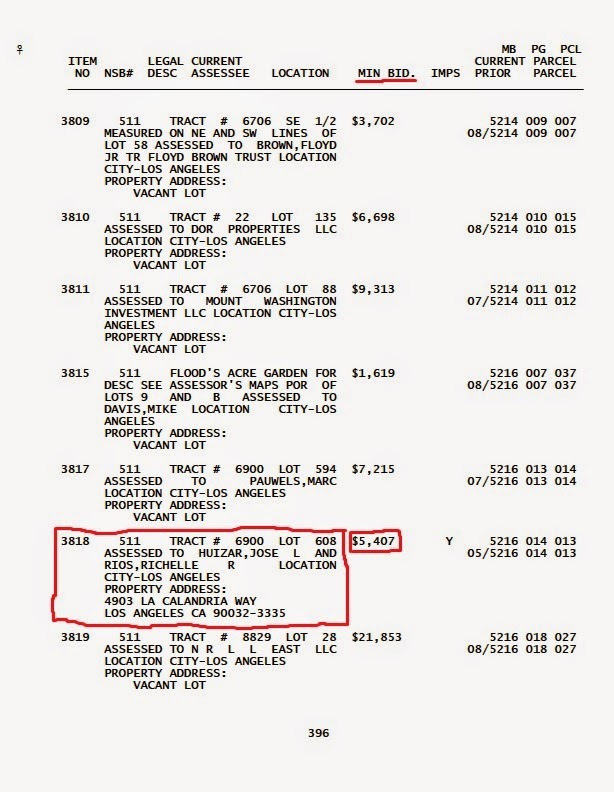 In a Mayor Sam Exclusive, we have received documentation that shows the much-storied El Sereno Property of CD 14 City Councilman Jose Huizar, was nearly Auctioned by LA County in late 2013, due to non-payment of Property Taxes. 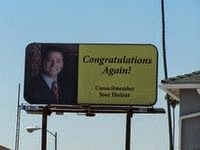 Add Tax Delinquent to the latest dubious distinctions of Councilman Huizar. ** Blogger's note: In a Mayor Sam Exclusive, we have learned that embattled CD 14 City Councilman Jose Huizar narrowly averted losing his El Sereno Property to Auction in 2013 for non-payment of Los Angeles County Property Taxes. The Huizar Family Rental Property, was listed in the "2013A Tax Default Property Sale Manual" as item number 3818, with the minimum bid starting at $5,407 dollars. The drastic action of (almost) losing a property in a Public Auction, comes after the commination of a five year waiting period, initiated by the County to resolve outstanding tax issues. Thus, the 2013 action by LA County against the Huizars, would have commenced in 2008. This is now the third consecutive campaign cycle, where some sort of nefarious dealings has been linked to the property. In 2007, challenger Alvin Parra made the illegal, non-permitted work topic of then LA Weekly David Zahniser missive, an issue. Four years later in 2011, self-financed challenger Rudy Martinez, was a subject of now LA Times David Zahniser's story on Councilman Huizar's non-payment of house work done by Martinez before their falling out, which was finally paid during the campaign ($8,980). Now in 2015, the newly revealed fact that the Huizar's nearly lost the home due to delinquent property taxes, is bound to reinvigorate musing on the Huizar Family's finances, especially in lieu of his "Private Settlement" with former Deputy Chief of Staff Francine Godoy. More later on those issues---Scott Johnson in CD 14. What tales of fiscal misdeeds the walls of Councilman Huizar's 4903 La Calandria Way Property could tell? 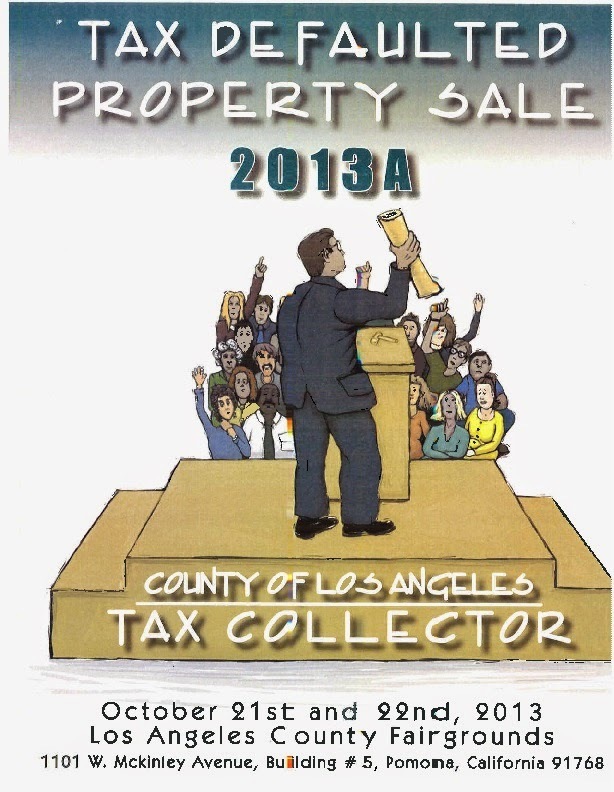 Cover Page of 2013 A Los Angeles County's Tax Default Property Sale (which listed Councilman Huizar's El Sereno Property). How do properties become "Subject To Power To Sell"? Upon the failure of the property owner to meet the payment obligation of his or her property tax by the final due date, usually June 30 of each year, the Treasurer and Tax Collector sends the property owner a notice of impending sale followed by a Notice of Auction. The default opens a 5 years waiting period for residential property and 3 years for non-residential commercial property during which the delinquent taxes, interest, and penalties accumulate until redeemed. At the end of the 5 years for residential property and 3 years for non-residential commercial property, if the tax remains unredeemed, the Treasurer and Tax Collector has the power to sell the property. A minimum bid of $5,407 dollars could of bought you a politically-connected property in El Sereno. The hypocrisy is comedy. He runs his life like he runs his district. (A MESS!) What a loser! All that power/kickbacks=he can't shake who he is/where he comes from.